Blue pigment discovered at Professor Subramanian’s lab at Oregon Stste University. Photo from Oregon State University. Professor Mas Subramanian is a professor of materials science at Oregon State University, researching new materials that could be used in electronics. In 2009, one of his grad students, Andrew E. Smith took a mixture out of the furnace that had been heated to more than 2,000 Fahrenheit and found it had turned a brilliant, clear blue color. They had accidentally, serendipitously discovered a new blue pigment; the first new blue in more than 200 years. The last “new inorganic blue” to be manufactured was Cobalt Blue in the early 1800’s. Cobalt, however, was not lightfast and was toxic to boot. 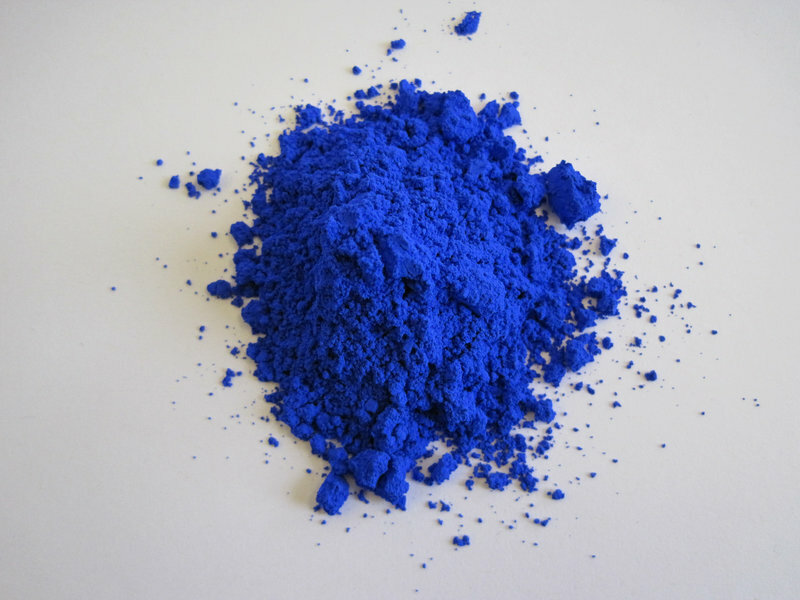 Considered a “complex inorganic pigment,” the new blue is currently called YInMn blue, named for its chemical makeup of yttrium, indium and manganese oxides. Subramanian, Smith and Oregon State University chemistry professor Arthur Sleight patented the YInMn material; Shepherd Color, an industrial pigment distributor is testing out the pigment’s application. Once the Environmental Protection Agency approves the color for commercial manufacturing, Shepherd is licensed to sell the pigment. So far, YInMn has proven to reflect heat more than Cobalt Blue and has proven to be remarkably stable; holding up against oil, water and sunlight better than other available blues. In addition to being light safe, none of the ingredients are toxic. Once large manufacturers are using a pigment, the material trickles down to our art supplies. Keep your eyes open in the next few years for a brand new blue, which will most likely receive a sexier name for marketing purposes. And the team of “new blue” researchers are already working to create new colors by altering the mixture. They have created a purple by adding titanium and zinc and are expecting additional bright, vivid colors to follow. National Public Radio (NPR) has an article online with interesting links about the new blue from July 16, 2016. Oregon State University has an in depth article about it as well. These X’s Are The Same Shade, So What Does That Say About Color? Each of the individual articles have links to other resources and stories about color: TED Talks, podcasts and news articles. It’s easy to journey deep into online color discoveries. Have a favorite book about the history of a color? Let us know in the “Comments” section. NPR posted a charming “Look at This” on October 23, 2014. 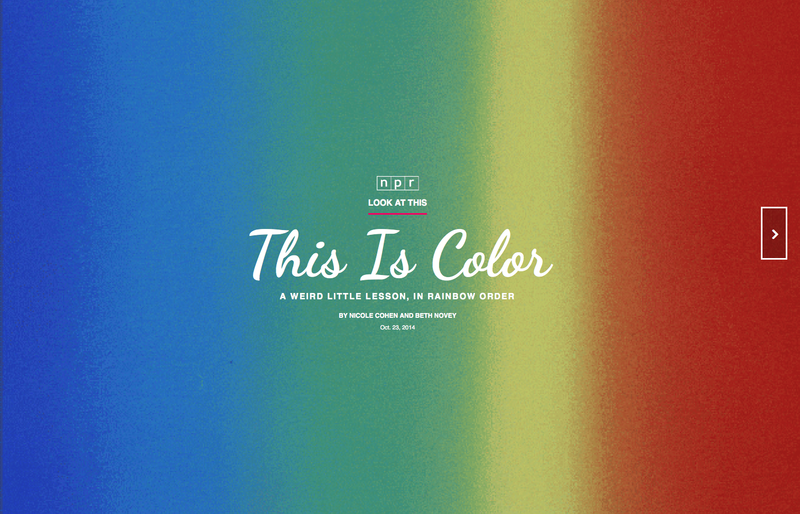 Titled “This is Color: A Weird Little Lesson, in Rainbow Order,” by Nicole Cohen and Beth Novey, the presentation takes the viewer through the rainbow with facts, trivia and interesting information about color. Well worth taking a break for a few minutes.